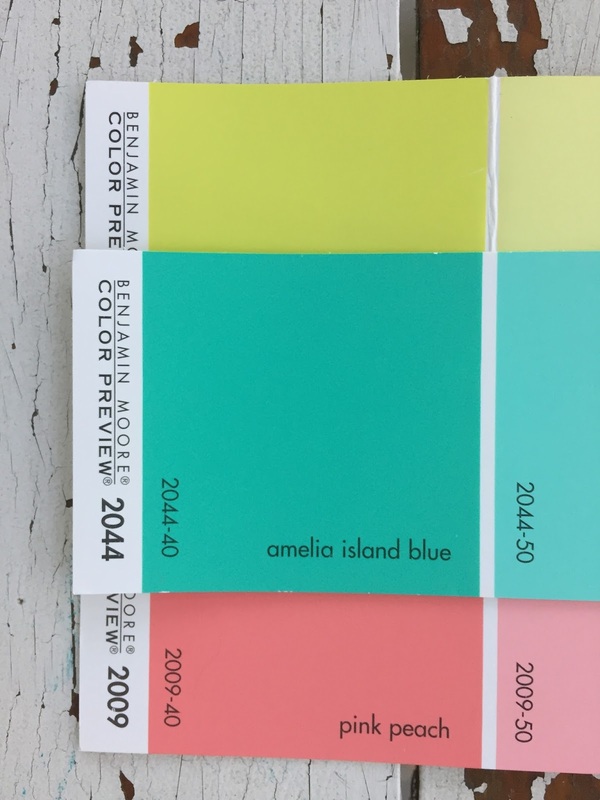 Very Very Vicky: Cheerful Coastal Colors! 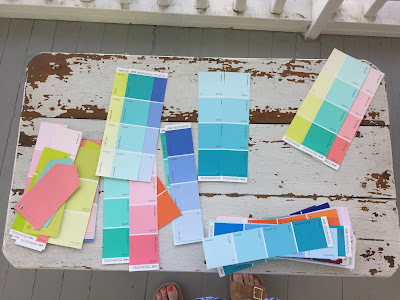 I want the colors to feel bright, cheerful, and coastal so I started by going to a couple of paint stores and picking out my favorite paint chips that met that criteria. There were soooo many options and as you can imagine it was a little overwhelming. 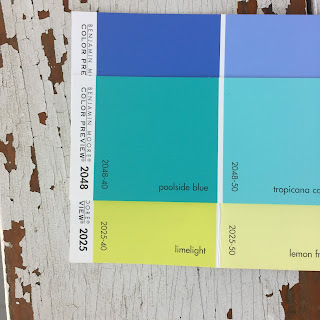 My husband requested that I pick something for the siding color that is blue or blue-ish so I chose a periwinkle blue color from Benjamin Moore that we both liked called "Blue Lapis". I bought a sample and it was tried it in a small place before committing. I need three colors--one each for siding, shutters, and doors as well as white. I also want to paint the floor of the front porch a light to medium gray and use blue on the ceiling of the front porch. 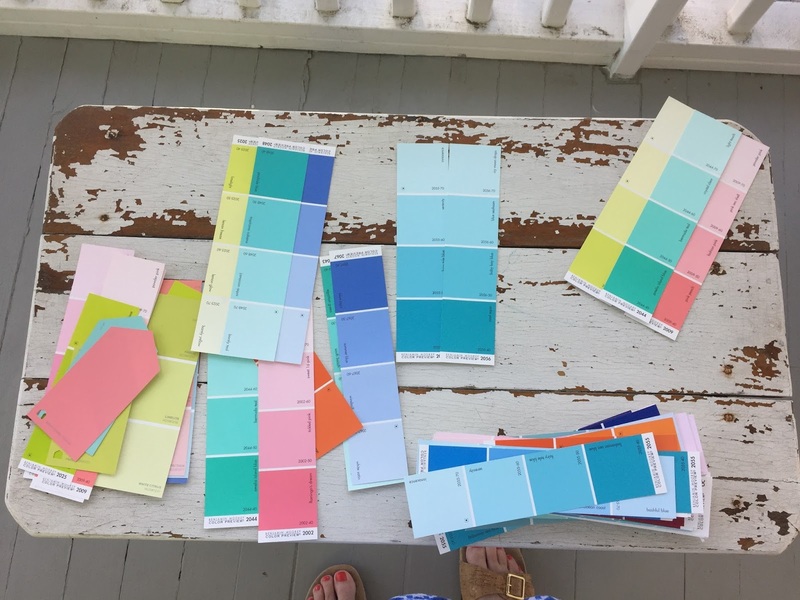 I chose "Amelia Island Blue" over "Poolside Blue" for the siding, "Limelight" for the shutters, and "Pink Peach" for the doors. It's gonna be bright and happy y'all! 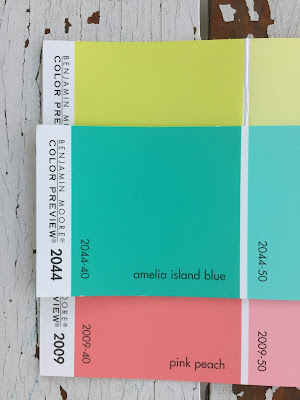 The painters are working right now and, hopefully, I'll have pictures for you soon! Love all those colours. 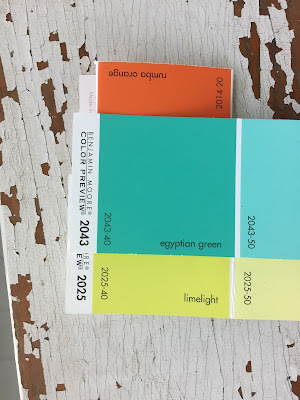 In my shop I sell a lot of beachy type décor items and use turquoise and blues, but need to add more pink and some lime!